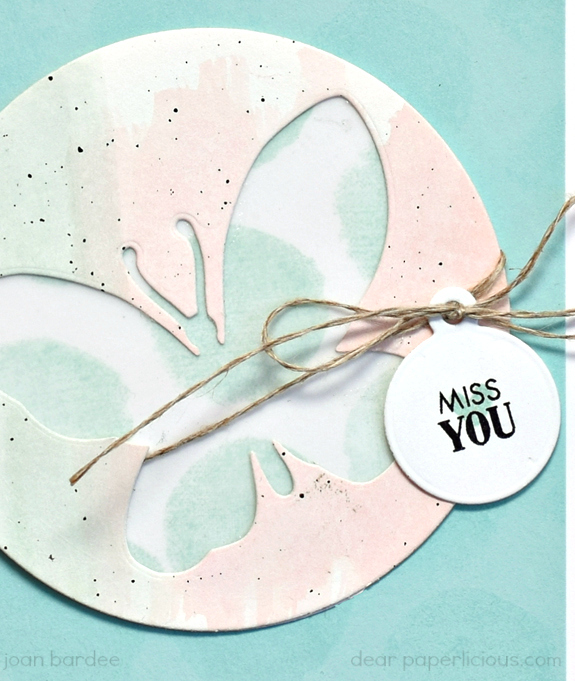 A soft aqua and peach color combination for a miss you card. 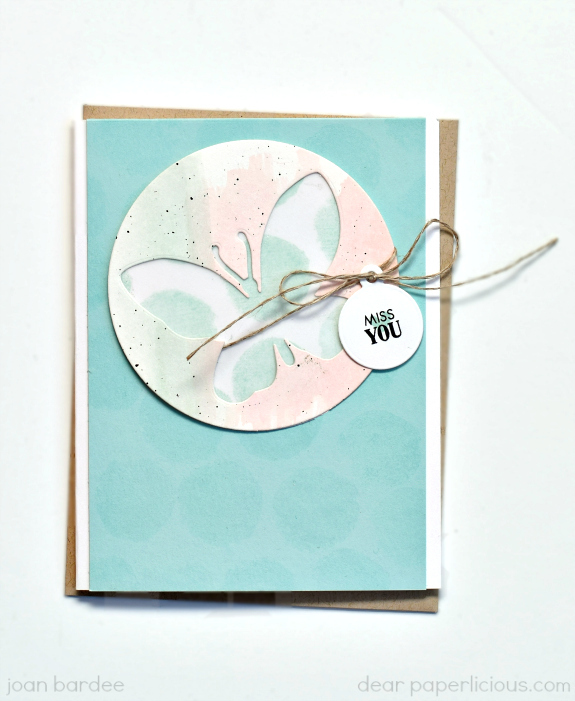 such lovely colors together and your wonky circle makes such an interesting texture background - great card! Love the big dotty bg and reverse inside the butterfly. Very interesting card Joan. Peaceful and lovely! Beautiful color combo. . . Stunning! The layers of pattern add so much detail, but still keep it perfectly CAS.